Credit Hours: 3.00. Fundamental issues of interactive multimedia design: interface design and experience design from a visual communications perspective. Typically offered Fall. Credit Hours 3.00. Introduction to web-based design from a visual communications application. Typically offered Spring. Credit Hours: 3.00. Explores experimental interface design issues and surveys emerging and advanced theories of interface design for the Web. Application of motion graphics design principles and design experimentation is a part of the curriculum. Prerequisite: Admission to the MFA program in Art and Design. Permission of department required. Typically offered Fall, Spring. Credit Hours: 3.00. Explores color aesthetic based on the works of color masters (e.g. 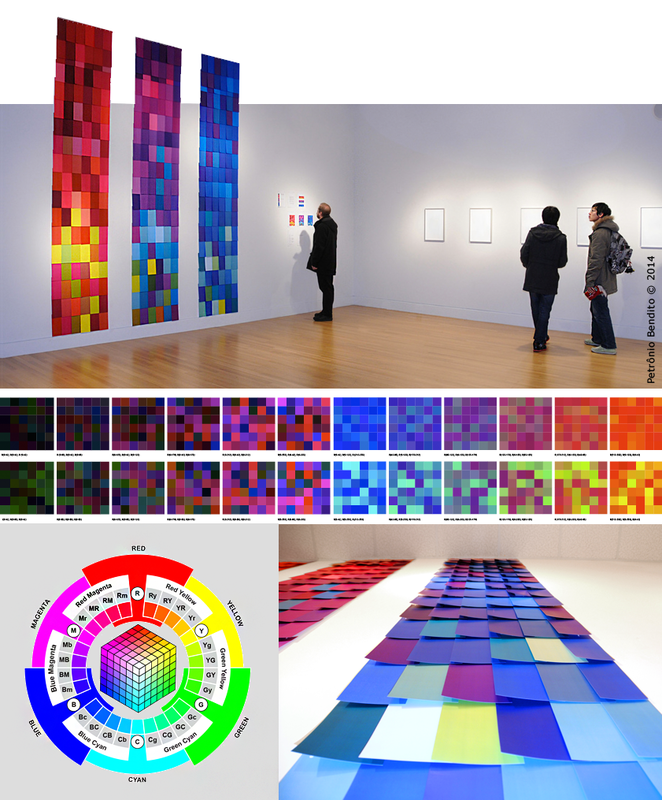 Albers, Itten, Chevreul, Birren, Munsell, and Ostwald) and contemporary color research issues applied to art and design. Color research methodology will be addressed. Prerequisite: Admission to the MFA program in Art and Design. Permission of department required. Typically offered Fall, Spring. Petronio Bendito is a new media artist, visual communications designer, color researcher, digital culturalist, and an Associate Professor and Area Representative of Visual Communications Design in the Patti and Rusty Rueff School of Visual and Performing Arts at Purdue University (2001~). His primary research interests are visual communications design theory and principles, visual literacy, computational color design methods, and digital aesthetics (Art/Design+Science+Technology). He has worked extensively in interdisciplinary projects and has collaborated with musicians, dancers, choreographers, a light designer, mathematicians and computer scientists. Color Code series: RGB to CMYK Test Patterns. Rueff Gallery, Installation view (2012). This work examines digital and material expressions that are made possible through the intersection of art/design, color science, and technological processes. Originally from Brazil, Bendito earned Doctoral (Ed.D.) and M.F.A. degrees from Northern Illinois University and a B.F.A. from Central Michigan University. He also studied at the Federal University of Paraíba in Brazil, and Purdue University. He has taught art and design courses at Northern Illinois University (USA), DePaul University (USA), a Summer program at the American University of Paris (France) and led Color Design Methods workshops in universities in Brazil, France, and the United States. Bendito has exhibited, screened, performed, and presented his artworks and research projects throughout the United States and abroad in Brazil, China, Bulgaria, North Cyprus, Finland, France, Germany, Iceland, Italy, South Africa, South Korea, Spain, Sweden, Switzerland and Turkey. Bendito has participated in exhibitions juried or curated by prominent cultural leaders, including Ed Paschke (artist, professor); Matthew Drutt, Senior Curator for the Menil Collections in Houston, Texas; Eleanor Heartney, writer, Contributing Editor, Art in America magazine and contributor to ARTnews, New York Times, New Art Examiner, and the Washington Post; Michael Rooks, Assistant Curator, Chicago’s Museum of Contemporary Art; Leesa Fanning, Assistant Curator, Modern and Contemporary Art, The Nelson-Atkins Museum of Art; and Amy Cappellazzo, Head of International Contemporary Art, Christie’s Auction House, New York. He also participated in several national and international invitational exhibitions, including those curated by Lilia Lamas, currently Curator and Exhibition Manager at Florence Biennale and Curator at Sixpack Projects, CA; and Jennifer Frias (currently Associate Curator, UCR Sweeney Art Gallery. Bendito's works have been cited in interdisciplinary publications, such as Image and Imagery (text by Elizabeth Mix; Corrado Federici (Ed. ), 2005, Peter Lang International Academic Publishers (2005); Les entreprises Critiques (Rose Marie Barrientos, et al., 2008, Cité du Design, Paris); Consortium, No.100 in the article “Bridging The Math-Art Divide” (Sarah Williams and David Pier) by the COMAP, Inc. (Consortium for Mathematics and its Applications) Petronio Bendito: Digital Color, Algorithm and Expression (monograph: essays by art historians Catherine Dossin and Elizabeth Mix (2014, Art Museum of Greater Lafayette, Indiana). His works have also appeared in exhibitions catalogs and academic papers. At Purdue University his work, research and collaborations have been featured in “People, Planet, Preservation/Office of the Vice President for Research Annual Report, 2011-2012” and “Transformation: Innovation at the Nexus of Humans, Nature and Cyberscience/Office of the Vice President for Research Annual Report, 2009-2010” by the Office of the Vice President for Research and Think magazine, published by the School of Liberal Arts. Bendito is the recipient of several art awards including Best of Show/Digital Printmaking (2013), Indiana Arts Commission Grant (2013), IVLA President's Service Award (2009), IVLA Creative Achievement Award (2007), Bank One Purchase Award (2004), Indiana Partnership for Statewide Education Award (2004), Indiana Partnership For Statewide Education Award (2004), VPA/Purdue Excellence in Teaching Award (2005), Puffin Foundation Artist Grant Award (2003), 15ht AVA Juried Annual Exhibition Award (2002) and WIRED magazine's Contest Winner 10.03/Return to Sender Postal Art (2002). Bendito is a former member of the Board of Directors of the International Visual Literacy Association, a former contributing editor for a Media-N, a founding member of the New Media Caucus, and a current reviewer and Board Member for the international Journal of Visual Literacy. Bendito has published over 25 academic papers and proceedings. He is the author of Website Design (2006) and is the Co-Editor of the Selected Readings of the Information Design International Conference (2009) and a chapter in Selected Reading of The 4th Information Design International Conference: Theories, Methods and Applications (2011). 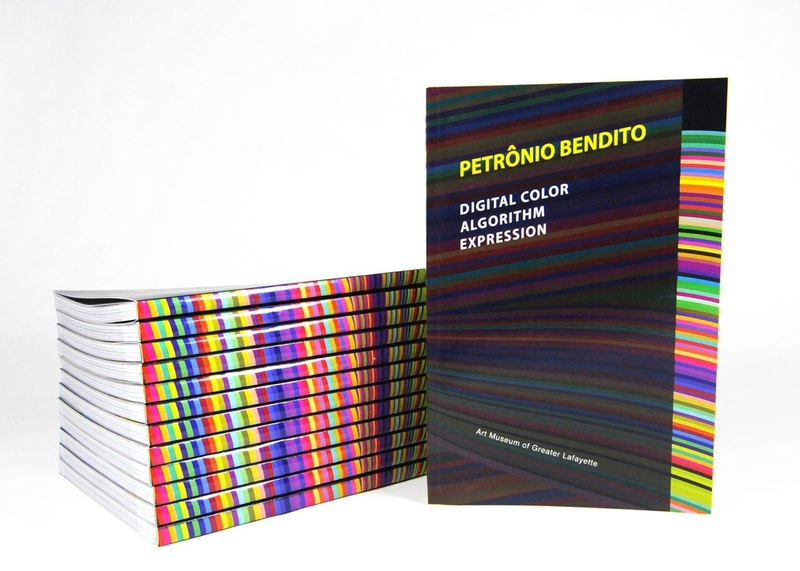 Bendito has been involved in Purdue University's interdepartmental collaborations and is an advocate of service learning community-based projects, such as his Scholarship of Engagement Project with local dancers exploring the intersection of dance and technology: “Digital Kinetic Color Traces.” He co-curated an art and technology exhibition for Purdue Galleries: Digital Concentrate, and co-curated and art and science exhibitions for the Department of Computer Science. He is a member of West Lafayette's Public Arts Team, and a visionary and founding member of the Spectrum Art Gallery of the Pride Lafayette Community Center. His collaborative projects have been featured in two TEDx talks (TEDx PurdueU and TEDx Lafayette). He is a member of Double Helix Collective, which has presented works locally at Fountain Gallery and nationally at the Bronx Museum of the Arts, NY. His Natural Disaster Color exhibition was the theme of a solo exhibition at the Art Museum of Greater Lafayette which was accompanied by a monograph. Click here or the image above to access this monograph directly from your desktop or laptop computer.